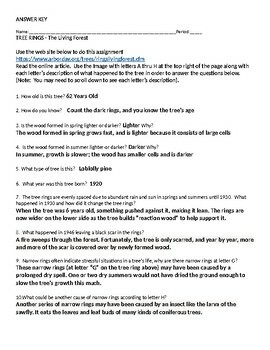 This is one page of 10 questions that students answer using The Arbor Day Foundation web site - their section on "The Living Forest". 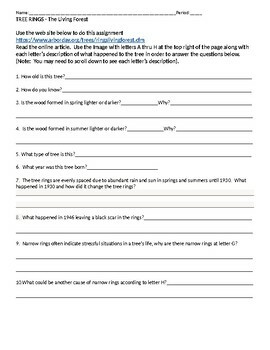 ANSWER KEY INCLUDED (A 2nd page for teacher-or you can post the answers for students after assignment completion as well). This is not only a good Earth Science, Arbor Day, Earth Day, Human Impacts, Filler Activity, it can also enrich our lives with new awareness of our environmental conditions that affect the trees that so many of us are surrounded by. The basic information is applicable to any age. Here is the web site so you can take a look at the reading level for your students.